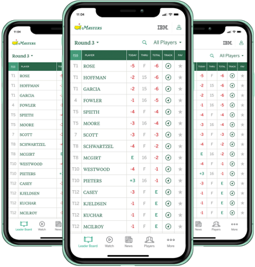 PHILADELPHIA, Pa. — Less than three weeks ago, Aronimink Golf Club’s Tom Weir was laying down out-of-bounds stakes at the site of the BMW Championship. This week, Weir staked a claim of low honors in the 72nd Caddie Tournament at Bala Golf Club (par 68, 5,138 yards). Weir, a caddie who has been at Aronimink for seven seasons, fired an even-par 68 to finish with the low mark Monday. The 21-year-old bettered a field of 43 caddies competing on a rescheduled date after the original was washed away on Aug. 13. The runner-up position was taken by Chris Swartz of Philadelphia Country Club, who finished four strokes back with a 4-over 72. No part of the low man’s game was more on point than his up-and-down par saves. Excelling around the greens propelled Weir to the top with 16 pars paired with a birdie and a bogey. Weir’s front-nine 33 hosted the only two non-par scores on his scorecard. On No. 5 (par 4, 381 yards), Weir pulled his drive left into the trees, meaning a 4-iron punch to fairway safety was needed next. A 9-iron approach found the green, but the 15-foot par putt didn’t fall. That blemish was erased just before the turn, on No. 9 (par 3, 150 yards), where Weir’s 7-iron off the tee landed to seven feet. Weir’s birdie roll found the bottom of the cup. “It could have been a couple strokes better there on the front. Definitely had some birdie looks the first few holes that could have fallen, but I was happy with the even-par turn score,” he said. Nine consecutive pars made up the experienced caddie’s back side. A few good looks for red numbers failed to fall on the back as well, including a short five-foot look on No. 15 (par 4, 313 yards) that just slipped by. That consistent, mistake-free golf wouldn’t hurt him in the end. Weir’s even-par second side got him in the house with the early clubhouse lead – one that wouldn’t be relinquished. “I’ve only been playing golf since I started at Aronimink seven years ago. I’ve been playing for five years seriously,” said Weir, of Newtown Square, Pa. Golf wasn’t even in the picture before those beginning days. At the age of 14, while working at the McDonald’s in Newtown Square, he picked up a lead about caddie openings at the club. The recent BMW Championship, won by Keegan Bradley in a sudden-death playoff over Justin Rose, was an opportunity for Weir to get close and personal with some of the game’s best on a track he knows better than most. “The Thursday before the Championship, I went out with a few other caddies and we put out the stakes. I was out there again for the Pro.-Am., and then again for the Monday (Final Round) finish. It was an awesome week. This year has become the year of the rain, so it was a little wet, but I think the course held up as best as it could,” he said. Weir, a J. Wood Platt Caddie Scholar, is currently taking classes at Delaware County Community College while working toward a degree. He intends to head to West Chester University in the near future. “The Platt Scholarship has helped me save money while working and taking classes. It has been great for me,” he said. The Caddie Tournament had five flights based on age groups. There isn’t an overall champion. Originating in 1928, the Caddie Tournament is open to all caddies who have been regularly employed at Member Clubs for at least 30 days prior to the event. Tournament eligibility is restricted to Amateur players who do not have membership privileges at any Member Club. Founded in 1897, the Golf Association of Philadelphia (GAP) is the oldest regional golf association in the United States and serves as the principal ruling body of amateur golf in its region. Its 260 Full Member Clubs and 75,000 individual members are spread across parts of Pennsylvania, New Jersey and Delaware. As Philadelphia’s Most Trusted Source of Golf Information, the Golf Association of Philadelphia’s mission is to promote, preserve and protect the game of golf.